By Rahul Chowdhury in Mobile. Updated on November 10, 2017 . NASA the space agency is sending Android-powered mini-satellites into space sometime in 2013. Its easy-to-use and tweak-able operating system is likely the reason why NASA chose to send these mini-computers into space to help ‘capture digital imagery of the Earth’. Nonetheless, commercial products are the ones that come from military prototypes, not the way around, which begs the question, how did Android made the climb to stellar proportions, literally, in less than a decade? 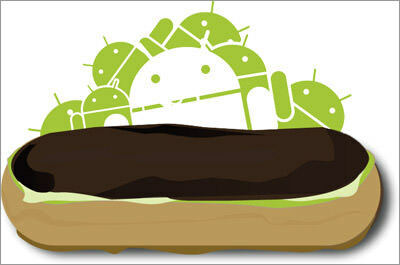 We take a look at the mobile operating system powering today’s Android devices. 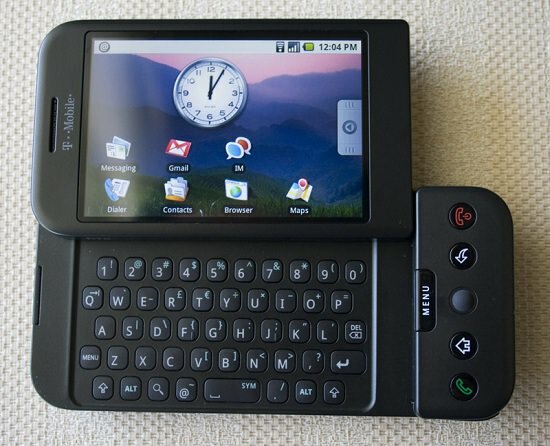 The acquisition of Android Inc by Google in 2005 marked Google’s entry into the smartphone market. 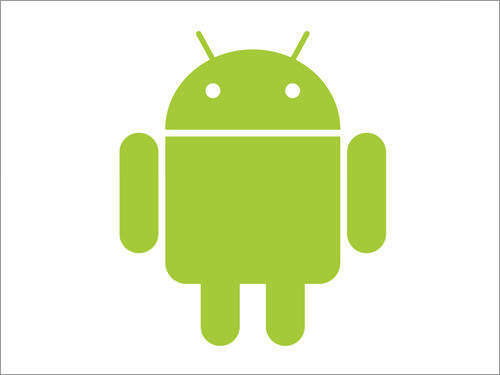 Today, Android is on over 331 million smartphones with close to a million joining every day. Its popularity was encouraged by monthly billion-app downloads from Google Play. The Android app store features 600,000 apps so far. 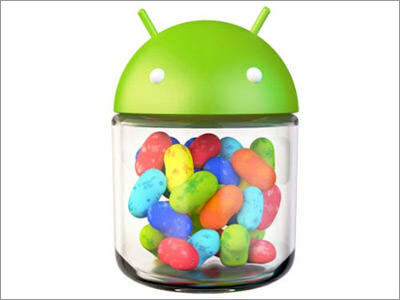 Android runs on more than 250 devices, inclusive of tablets and smartphones that are produced by 23 different manufacturers, and has gone through more than ten OS updates from Android 1.0 (presumably named Astro) until the much-anticipated Android 4.1, Jelly Bean, released in June this year. 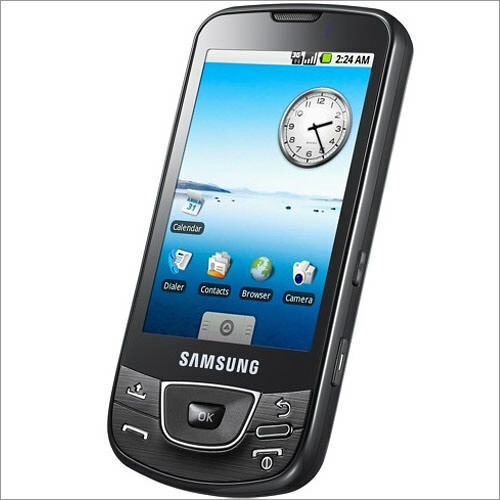 Android 1.0 was launched in Sept 2008, with features that were mainly oriented for business and work purposes. This version was packed with great apps and support for using the Internet and Internet-based services such as: full HTML support in the browser, video playback with a YouTube app, and Google services like GTalk, Gmail, Google Maps and Google Sync. It was also the first mobile operating system to pull off the pull-down notification window, and users first learn of the uses of Widgets and apps that can be downloaded and updated via the Android Market even though the market wasn’t as heavily populated then as it is now. Thus, this version was mainly focused on lifting the business side of smartphones, with a lack of focus on entertainment features – Android users have minimal control over the Camera, and there’s no support for video playback in its media player. Android 1.1 (presumably Bender) featured mostly bug fixes and updates, and was the first ever software update for Android. 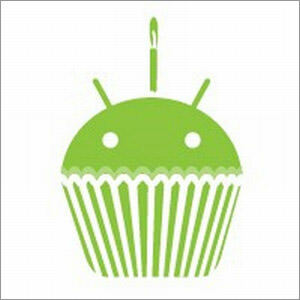 Cupcake was Android’s second major release, but the first commercially available version, which featured a good amount of bug fixes, and plenty of good features. 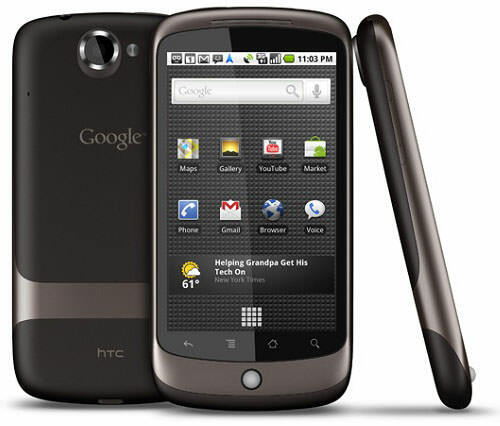 It was introduced together with Android’s first touchscreen-only phone: the HTC Magic. 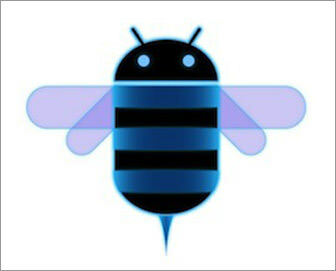 Widgets were introduced; Google started allowing third parties to produce widgets for Android use. Cupcake also enabled the copy-and-paste feature – which we so take for granted now – from plain text on a page to internal apps. Users can easily swap between Still Camera and Video Camera modes with a single touch and without leaving the camera app. Video recording was made available in MP4 and 3GP formats and the auto screen rotate that we see in our devices was added in this version. Users are also treated to uploading capabilities for videos and photos to Youtube and Picasa, respectively. 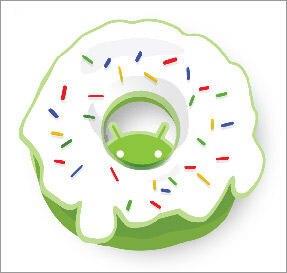 Android 1.6 launched in Sept 2009, was also known as Donut, and contains several new updates including text-to-speech technology. 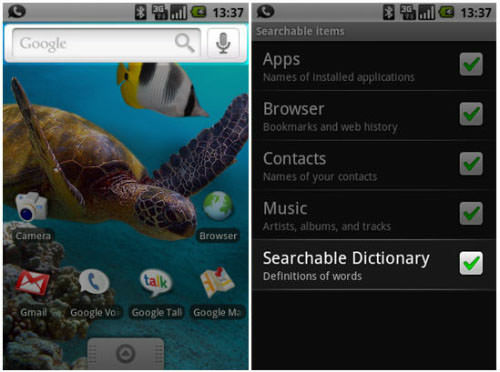 Searches can be done by text and Voice, and this is not restricted to just the Web; you can also search your bookmark history, Contacts, Music, Dictionary and the Web with this method and from the same search box. App screenshots are now available in the Android Market. The new update also allow for WVGA Screen Resolutions and better performance. The Gallery was fully integrated with the Camera apps for better and faster viewing of photos taken from the camera. 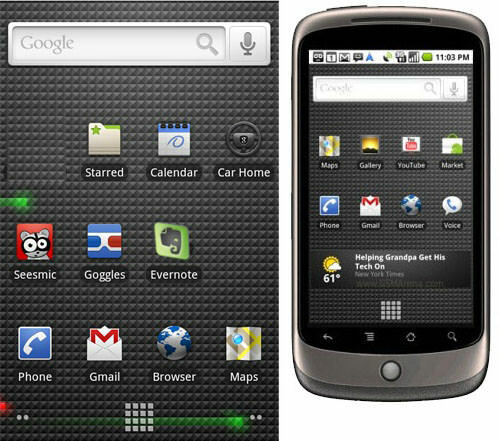 Eclair, Android 2.0 and its update 2.1, was released in Oct 2009, bringing in a revamped user interface (UI) and the introduction of Live Wallpapers (animated wallpapers at the homescreen). Android users were also treated to the virtual keyboard for a faster typing experience and if typing takes too long, then the speech-to-text technology is the best alternative. There’s also Bluetooth 2.1 support for faster file transfers. Users who have multiple emails could browse their multiple accounts at the same time and the Account sync enables synchronization of email and contacts easily. Calling or texting friends has become a lot easier by using a long press over the wanted Contact Name, then selecting to Call or Text them. The Camera app on Android 2.0 has flash support, Scene Modes, white balance, and digital zoom among others. That double-tap that allows you to zoom into text on a browser? It was introduced in this version as well, along with support for HTML5 and an improved navigational experience with Google Maps. Come May 2010, Android 2.2 or "Froyo" – Frozen Yogurt – blew the competition away in terms of OS speed thanks to the Java V8 engine and JIT compiler which launched apps faster than ever. Features like USB Tethering and Portable Wi-Fi Hotspot were added to this version and users can disable data access. Android users can also now run Flash on their Android device and are treated to picture preview stacks in the 3D photo shots gallery without selecting to see the full photo first. Also worth mentioning is the remote wipe features that allow you to wipe out your data in the event of a lost or stolen phone for better data protection. 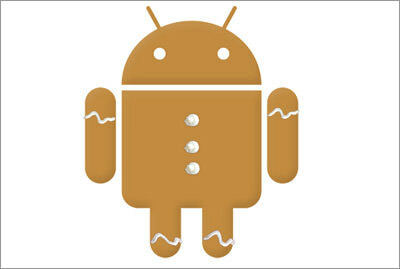 Android 2.3 (Gingerbread) came to light at the end of the year, a mere six months later after Froyo made headlines. Users are able to quickly switch between front and back camera in the modified camera app. Copy-paste can now be done word by word (press-hold to select) rather than by blocks of text. This version also has better battery management tools allowing users to see which app is zapping battery juice the most. Its last update v2.3.7 introduced Google Wallet which utilizes near field communication to store cards, redeem promotions and even make secure payments from your phone. 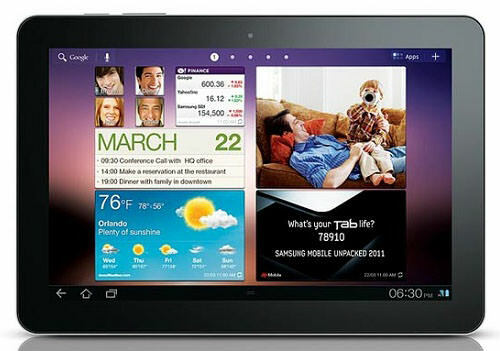 Taking a break from smartphones is the Android 3.0, Honeycomb update which was designed with tablets in mind. Everything is on the UI now with no need for physical buttons. The Back and Home keys get perpetual spots at the bottom of the screen. Widgets become more prominent as developers get more room to play with due to the larger screen size. In the main view, one can see two bars: at the top the Action bar, which gives access to individual apps and widgets, at the bottom, the System bar showing notifications and soft navigation buttons. The additional space also allows for a better, redesigned keyboard for more accurate presses and efficient typing. Browsers carry multple tabs and is available in ‘incognito’ mode, while the Contacts and Email UI carry two panes now for better organization and access of data. This version also has better hardware acceleration and 3D graphics support. Later updates (still under Honeycomb) added connectivity of USB accessories such as external keyboards or gamepads as well as improved handwriting prediction for Chinese characters. 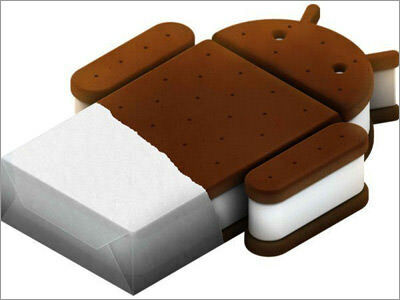 Android 4, first released on Oct 2011 and updated in March 2012, is also known as Ice Cream Sandwich, continuing the dessert-naming convention. It had then unmatched performance and speed, carrying many of the features that Honeycomb installed in tablets over to smartphones including being rid of physical buttons for navigation. The launcher is now customizable and users can add both apps and widgets (which has since been separated) into their homescreens or panels via drag-and-drop. Default keys docked at the bottom of the homescreen can also be customized and carry multiple folders (or apps) which appear stacked together. Select icon once to see options; select again to launch the app. 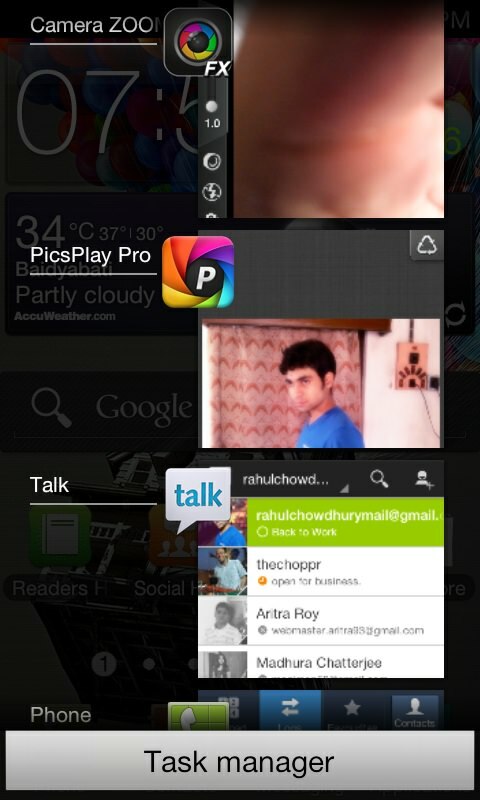 Users can now use video chat in GTalk in this version, which also carries Face Lock. The Task Manager now carries screenshots of recently open or currently in use apps which can be dismissed (and closed) individually by swipping them off the screen. This Swipe to wipe feature also works with notifications and browser tabs. Also making an appearance is Chrome for Android, the fastest version of Chrome for any mobile device which has recently shed the ‘beta’ from their app. Usage can be broken down by time spent on any and all apps, for better battery management and users can also receive warnings when breaching data limit, or disable data usage once it surpasses a preset limit. It also has an integrated snapshot capture feature which is initiated by pressing both the power button and the volume-down button together. A shutter sound indicates that a shot has been taken. Screenshots take up a separate folder in the gallery. Other improvements include better text predictions, copy-and-paste, voice input, social-network-integrated profiles, camera features such as panorama view and options to share to social profile. 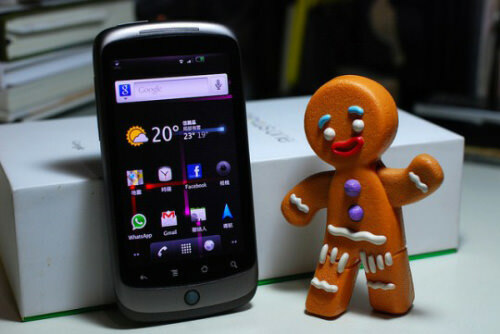 June 2012, Jellybean is here. Smeared with butter – project butter that is. Project Butter made this latest update, faster, smoother and more responsive. How fast? Try zero lag when opening apps or switching home panels. Animations and transitions are also visibly enhanced with vsync timing. Received a notification? Expand it with finger gestures to get the full info without launching the app, or return calls straight from the notification tray. Alternatively, users can opt for canned text replies in response to missed calls. Despite this being a 0.1 update, the deal-breaker is Google Now. Initiate it by holding down the Home button and swiping up to get predicted suggestions and updates on Cards, based on your past searches and latest locations. At least, Google is putting all that gathered intelligence to good use – you get your own personal assistant, who knows you inside out and brings updates to your attention even before you ask for it. Voice search is part of the implementation in Google Now (so ask away), as Voice dictation is now an offline, integrated feature. 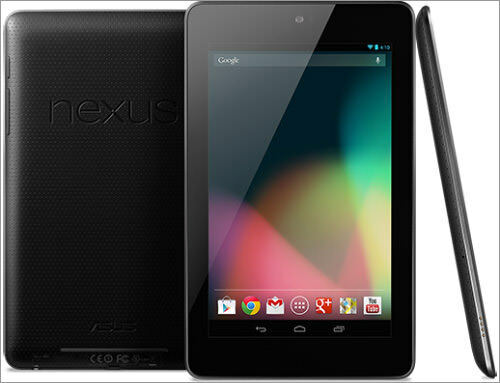 Jellybean is already running on Google Nexus smartphones and the tablet. This evolution rapsheet is by no means exhaustive – we are trying to cover 4 years of tech development, that’s a lot of history to cover in one article – so if we missed anything, set us straight in the comments. 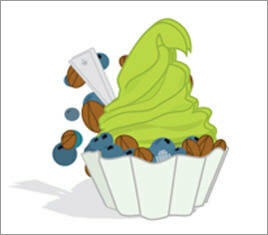 Also share with us your wishlist for the next update in line – (presumably) key lime pie anyone? 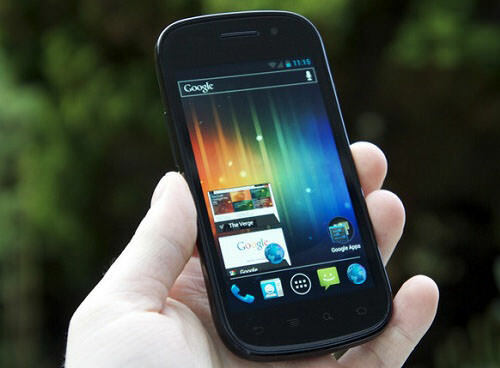 Editor’s Update: Google has announced the latest addition to the family as Kitkat, instead of Key Lime Pie.